Ever feel like you are the last one to know anything? Well, I feel like that most of the time. Like with my family, I am typically the last to know anything. Partly because I live in BFE, but I also feel like they forget to tell me things. Anyways, I am digressing. For those that know me, know that I am loyal to two types of handbags-- Coach and Vera Bradley. I would almost venture to say that my love for Vera Bradley is borderline obsessive and I am partial to one print-- carnaby-- a print that was discontinued in Fall 2009! Just imagine my sadness. In Fall 2009, one of my best friend, Haley aka Big Hair Haley, first introduced me to VB and I used to only have a few items in carnaby. But, then my awesome mother found some carnaby items online and then... well, hence the obsession with VB! 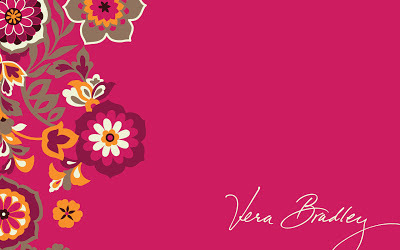 Okay, so the real reason for this post is to share my new favorite thing ... Vera Bradley free downloads! Yes, that is right. 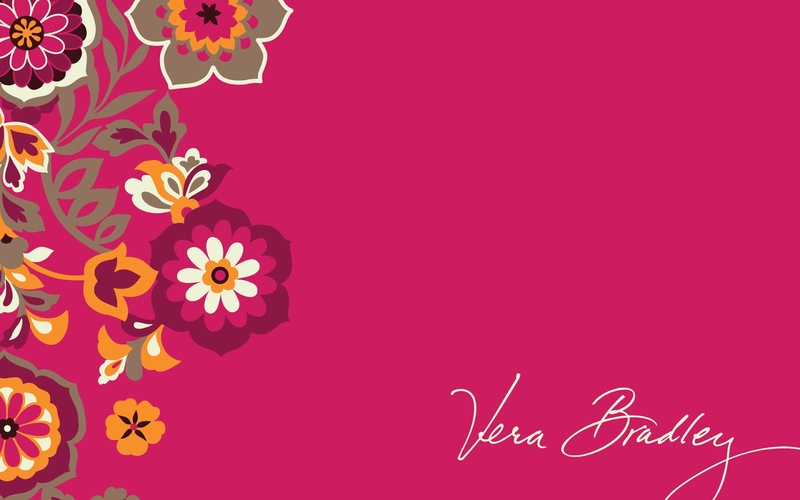 Vera Bradley now has downloads on their website that lets you download the different prints as backgrounds for your phone, iPad or desktop! I know that I am probably really late to this party, but I just had to share this! I love it! If you are guessing my desktop, phone and iPad are currently set to the carnaby download right now, then you are 100% correct! 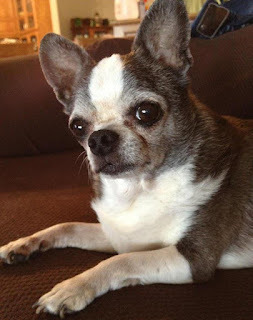 One of my absolute favorite blogs is The Small Things Blog. I feel like Kate and I are practically best friends, even though I have never actually met her in real life. Creeper, yes I know. Well, anyways if you have ever checked out her blog you know she post some fabulous hair tutorials! Usually when I can't sleep, bored or have a hair issue, I check out her blogs for some help and inspiration. Check it out. You won't be disappointed. I am that girl that could NEVER french braid growing up. I just didn't get it and most of the time would get frustrated before even getting close to having something that resembled a braid. Well, last night I couldn't sleep so I checked the blog for some new hair tips and found this little gem. A tutorial for french braiding bangs. Perfect. My bangs are at a quite unruly stage and driving me crazy and this is just what I needed. 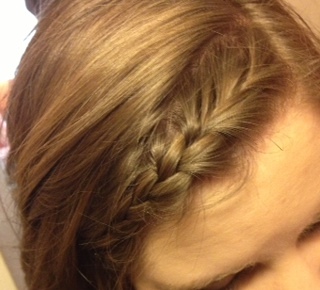 And, bonus, I can some what, sorta french braid! Some days, like today, it really is the small things that make days better! Thanks, Kate! 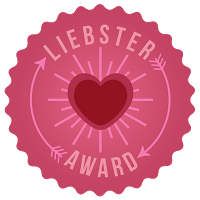 Go to each blogger's page and let her know about the award. 2. I love my dog more than some people. 4. I love crafts. And sewing. 5. I believe "the bigger the hair, the closer to God." 6. I am easily overwhelmed. 7. I have fabulous parents, grandparents and brother. 8. Felt cowboy hats are my weakness. 9. I would wear boots all the time if I could get away with it. 10. Stockshow season is my favorite time of the year. 11. I love traveling and window shopping. Who are three people you'd like to have a one-hour conversation with? Miranda Lambert, Randa Yezak of Southern Jewlz and Jesus, of course. What makes your favorite school/team better than the rest? My favorite way to relax is simple. To do nothing. Absolutely nothing. Just sitting in silence and letting my mind shut down for a few minutes. After some me time, I will either craft, read, watch movies and sometimes I even eat ice cream, which is not my favorite thing at all, but when I am stressed ice cream is where it is at! Do you wear jewelry? If so, what are things you must wear every day? Yes, I do (when I remember) wear my OSU class ring, another silver ring, watch and most typically a cross necklace. My new currently favorite thing is bubble necklaces! I think I am up to five currently, but I NEED more! Tough one. If you would have asked me even a year ago, I would have said heels all the way. But, now I would probably say flats. Actually, I am more of a boots kind of girl ... boots and jeans/leggings and boots ... I am fine with either. What do you do for work, or, if you're still in school, what are you studying/going to be "when you grow up"? I am one of those girls that has multiple favorites of everything, but I will limit this post to my top five. 1. Top Gun. Men in uniform. Enough said. 2. Rio Bravo. I just love John Wayne! 3. The Holiday. I love this one around the holidays, obviously. Heeeeeey, Jude Law. 4. Remember the Titans. "because I love football. Football is fun, sir?!" 5. A Walk to Remember. I love this one more because of the person I first saw it with rather than the movie itself! The book is ten times better than the movie! Where is your favorite place to eat, and what do you order? Again, I am terrible with limiting things to just one, so top three. 1. Texas Roadhouse. BBQ Chicken, mashed potatoes and salad. Delish. 3. Alfredo's or Ted's. Taco Dinner. Yes, I love tacos! Have you ever broken a bone? If so, which one(s)? Oh man, this might take a while. Well, when I was a sophomore in HS, I broke my wrist at cheer camp and later that year, I broke my left foot. But, didn't tell anyone about it for about a year and half. And, then three days before Christmas 2009, I broke my right foot. And, one broken pinky finger. My Baby Pam was my favorite toy, hands down. I carried her everywhere with me. I actually still have her. She is awesome. I have a dog named, Lucy aka The Frilly Farm Dog. She is precious. Seriously. Also, I have a dog named Letta, who is pretty much the best dog ever. She is actually my mom's dog, except when I am home then she is my buddy. We have been through a lot together. One tore MCL, two broken feet, one foot surgery, one wrist surgery and one broken pinky ... and she was right beside me the whole time. We also have a yorkie named Abbie and a black lab named Mattie. Katy from Farms, Pearls and Baby, Oh My! 1. If you could do any thing for a day, what would it be? 5. Favorite memory from 2012? 7. Who is your favorite singer/band to listen to? 8. Be honest. Do you pretend you are a famous rockstar when you are alone in your car? 9. Do you believe in retail therapy? 10. Do you make list when you go to the grocery store or just wing it? 11. What do you do when you need a little extra motivation/inspiration? If you are like me, the word "resolution" scares me a bit and I fail miserably each time I attempt to actually do resolutions. So, this year I came up with what I think is a better solution to my resolutions woes. Instead of going all year trying to remember all the resolutions I had set in January, I decided to do a monthly "to-do" list instead. I am starting off January a bit easier, just to ease my way into it. Each month I will post my five "to-do" list items for that month. The best thing about this is that I can decide on my list at the beginning of the month and tailor it to the things I have coming up that month. For example, May will be finals week, so my list that month can be eat healthy, get lots of rest, study a certain amount of hours per class, etc. So here we go. January, please be nice to this novice "to-do'er!" 1. Print more pictures- most of the time I take all these pictures, upload them to Facebook, twitter and instagram and NEVER print them out. I used to have all kinds of fun photos hanging in my apartments at college, offices, etc. and now I have none. The same pictures have been in some of my frames since I was a junior at OSU. Yikes! That was a long time ago! 2. Drink more water- Before I ended my career with extension, I was up to drinking almost 160 ounces of water a day (for those doing the math, thats eight 20oz bottles) and felt great! So, my new goals is to start drinking that much water each day again. It is a bit trickier since I won't have a Culligan man to bring me water or an ice machine in the next room, but I will manage. Thankfully, the gym has an awesome ice machine I can "borrow" ice from and there are handy water filter machines on campus to get good water! This is totally do-able, right? 3. Take more vitamins- This is self-explanatory. I don't take any as of right now, so this should change. I am accident prone too. Vitamins should be a must for me. 5. Send cards to friends and family- Do you love getting mail as much as me? It is by far my most favorite thing except getting bills. That isn't fun. Anyways, my goal this month is to send cards via snail mail for any occasion or no occasion at all. No occasion cards are my favorite. It is nice to know someone is thinking of you!